"For the month of August, we are highlighting our newest Vitamin String Quartet release, alongside some long out-of-print releases and a selection of some bluegrass/country favorites. First up is VSQ Performs the Hits of 2018, an exhilarating album of string interpretations of 2018's biggest songs. From the tranquil hip-hop of Kendrick Lamar’s “All The Stars,” to the catchy, country dance of Beb Rexha’s “Meant to Be,” these hits are all covered in a classical fashion, so this eclectic collection has something for every music fan. We are also excited to announce the first-time digital release of several out-of-print, bluegrass classics. To start we’ve got The Pinnacle Boys album High Lonesome Bluegrass, produced by Bobby Osborne. Speaking of The Osborne Brothers, their album I Can Hear Kentucky Calling Me, with their already beautiful sound complimented by a suit of strings, is being released this month. Lastly, Merle Travis’ Travis Pickin’, highlighting his titular solo acoustic instrumentals, is also being given the digital treatment. Finally, this month we are also featuring some of our favorite country and bluegrass albums, including The Nashville Acoustic Sessions, Jim Silvers’ You Gotta Let All the Girls Know You're a Cowboy, Eddie Adcock Band’s Talk To Your Heart, and, as always, three of our ever popular Pickin' On Series albums, The Bluegrass Tribute to The Black Keys, The Bluegrass Tribute to Alt-Country, and The Bluegrass Tribute to The Avett Brothers." 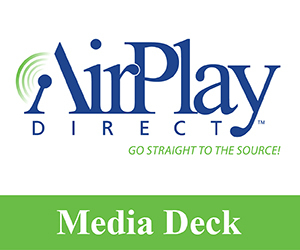 About AirPlay Direct: AirPlay Direct is the premiere digital delivery / distribution company, brand and platform for engaging radio and airplay worldwide. AirPlay Direct is a professional B2B music business environment for artists, labels, publishing companies, radio promotion firms, PR / Media firms, etc. About Collective Evolution: Collective Evolution is a boutique, high-end entertainment and media consulting firm. 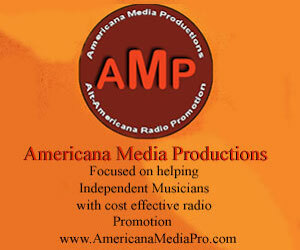 Our clients include recording artists, record labels, record producers, management companies and radio promotion / PR firms. We deliver creative consultative services and customized business solutions to our clients based upon their specific needs and goals. © 2005-2010 AirPlay Direct. All rights reserved.